As President Trump prepares to meet his Chinese counterpart, Xi Jinping, at the G-20 gathering in Argentina this weekend, tough American tariffs and a broader bilateral trade relationship are at the top the agenda. But what about concerns that the Trump administration has expressed in the past over Beijing’s repression and mass internment of Uighurs and other Muslims? Some of Mr. Trump’s top lieutenants, like Vice President Mike Pence and Secretary of State Mike Pompeo, have called attention to the Uighurs’ plight, but given the president’s fixation on tariffs, he may well decide to hold his fire about the Uighurs to appease Mr. Xi in pursuit of a trade deal. So it’s no surprise that the White House is refusing to say whether the Uighurs will be on the agenda. The dilemma Mr. Trump faces has some faint echoes from 1989, when President George H.W. Bush had to figure out how to recalibrate relations with China after the Tiananmen Square massacre. Of course, Mr. Trump lacks the experience or subtlety that Mr. Bush — a former director of the C.I.A. and envoy to China — brought to that fraught diplomatic moment. At that time, China was just beginning the economic reforms that would eventually make it an international force to be reckoned with, and relations with the United States were at a peak. Responding to pressure from Congress and international outrage over the widely publicized Tiananmen Square killings, the Bush administration imposed limited sanctions on Beijing while maintaining dialogue with Chinese officials. Today, when another, more hostile strategic realignment between Beijing and Washington seems to be underway, there is again an urgent need to address at the highest levels of the American government what have been described as China’s worst human rights abuses in decades. They are largely happening in secret to a group of people who are little known outside China. Mr. Xi has imposed China’s most sweeping internment program since Mao Zedong’s Cultural Revolution, when more than a million people were killed and millions of others were imprisoned, tortured and humiliated. As Mr. Pompeo and other senior officials have acknowledged, Chinese officials are forcibly holding hundreds of thousands — perhaps more than one million — Uighurs, ethnic Kazakhs and other Turkic-speaking Muslims in camps across the northwest Central Asian border region of Xinjiang without any formal legal process. There have been credible reports of torture, starvation and death in the camps. There are, as well, accusations that officials have forced detainees to renounce traditional Islamic practices and swear allegiance to the Chinese Communist Party. On Thursday, CNN reported that a Chinese photojournalist, Lu Guang, had disappeared in China after being seized by authorities in Xinjiang. Overlaying all of this is a sophisticated surveillance system that uses cameras, biometric data and phone apps to reinforce state control. 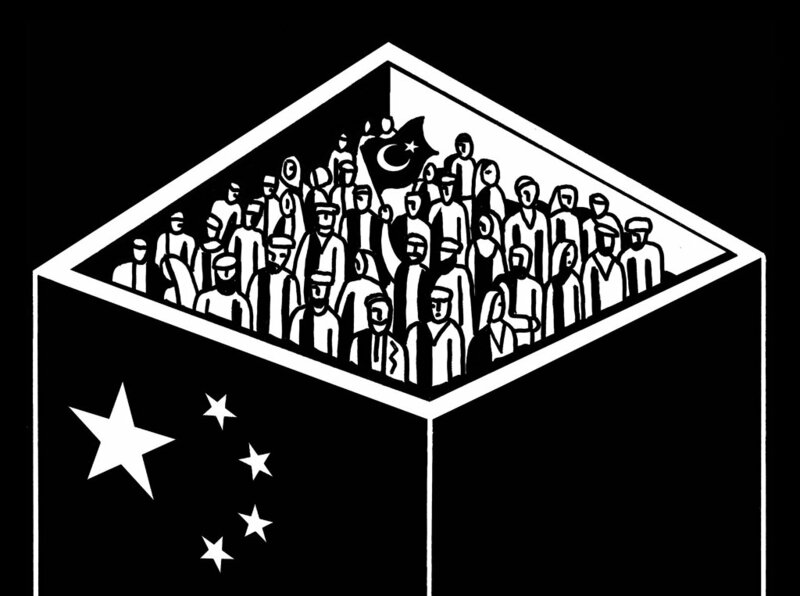 Officials reportedly have also deployed more than a million Chinese civilians, mostly members of the country’s Han majority, to occupy the homes of Uighurs and other Muslims in Xinjiang in order to indoctrinate and monitor them. The Uighurs, numbering about 11 million, are the largest ethnic group in Xinjiang. Such rhetoric helped focus more international attention on the campaign of oppression against the Uighurs, but it’s not nearly enough. While Western countries have begun to speak out, where is the outrage from Muslim countries? Why aren’t China’s neighbors demanding an end to the abuses? The world can ill afford to remain mute, as it did for too long when the generals in Myanmar began unleashing genocide against the Rohingyas, members of a Muslim ethnic group that have been killed by the thousands and forced to flee to Bangladesh. For several months, administration officials have been discussing whether to impose punitive measures on China over its treatment of Uighurs. In mid-November, lawmakers in Washington introduced legislation that would level sanctions on specific Chinese officials and limit the sales of American technology products to certain Chinese state agencies. If Mr. Trump refuses to confront Mr. Xi in Argentina and take strong measures against Chinese officials for their mass repression, Congress will be obliged to act.